EU and domestic regulations state that all fuel-dispensing tanks must be bunded. The JDP fuel station offers customers a complete bunded solution providing safe, lockable on-site fuel storage. 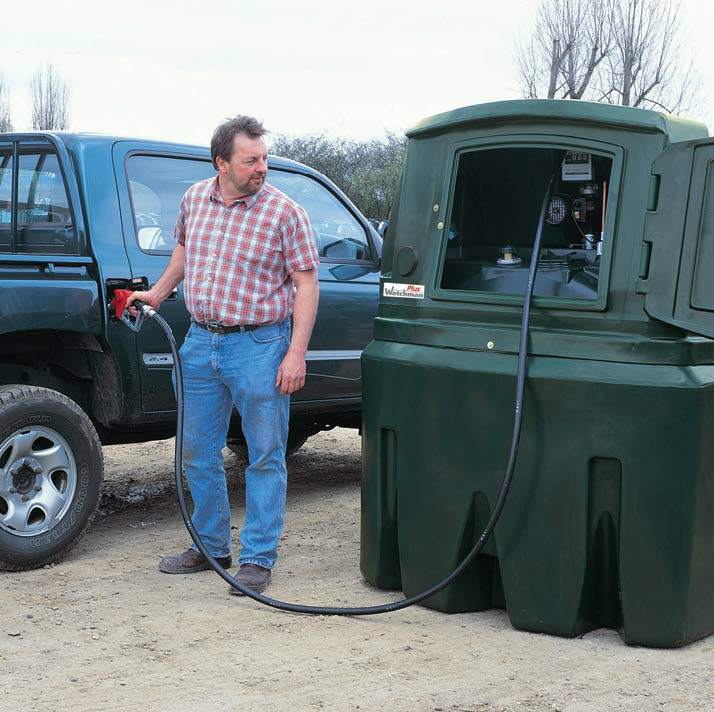 The complete fuel station range, including storage and dispensing tanks, have been specifically designed to answer the needs of both the commercial company with mobile transport requirements, and farmers with on-site fuel storage requirements. JDPs fuel station tanks are bunded with a choice of pump (up to 75 litres per minute electric or battery powered), flow meter and auto shut-off nozzle, all safely secured within a totally enclosed and lockable cabinet. Fitted with the SpillStop overfill protective system, this bunded range is one of the most advanced and secure tanks on the market meeting all legal requirements. The intelligent tank range is fitted with a top outlet providing a complete and integrally bunded storage solution. Light and portable, the ADR-approved TruckMaster fuel dispensing system simply straps onto the back of a truck, enabling you to carry the diesel you need to refuel on-site. That means swifter, safer delivery – saving valuable time and money. Safest option with the TruckMaster, on-site safety is assured as fuels can be transported without the requirement of heavy steel drums or jerry cans, which are liable to spill. The TruckMaster carriage requirements offer flexibility in that the vehicle driver does not require ADR training, the vehicle does not need orange hazard plates and the driver does not require a TREM (Road Transport Emergency) card. However, the driver is required under ADR regulations to carry a two kilogram fire extinguisher. ADR approved (International Carriage of Dangerous Goods by Roads). The TruckMaster is a UN approved IBC (Intermediate Bulk Container) suitable for the transportation of diesel fuels. Tanks must be installed / commissioned by a registered OFTEC installer.